It cannot be inherited, and if you want it you must obtain it by great labour. Some things require work. Building toothpick castles, say, or draining wetlands, or participating in a literary tradition. Thankfully, as Eliot proves, trading Old Glory for the Union Jack is as simple as putting on “the French livery” (Webster’s phrase) and spelling labor with a u. As befit a conqueror, 8-Deer was wearing elaborate cotton armor, a ceremonial beard wig, and a cowl made from the head of a jaguar. As befit a conqueror, I wore to the office a pair of gray slacks and a navy-blue gingham shirt with sleeves rolled up. If I laid waste nothing more substantial than nine hours of sunshine, that’s probably because I imagined the beard wig superfluous and left my jaguar-head hoodie in the closet. …the mobile shade of the trees. Add “the roundness of the sun” to the list of things that determine my experience of the world in ways I never guessed. Yesterday we made a pinhole camera and projected the solar eclipse onto a sheet of paper. 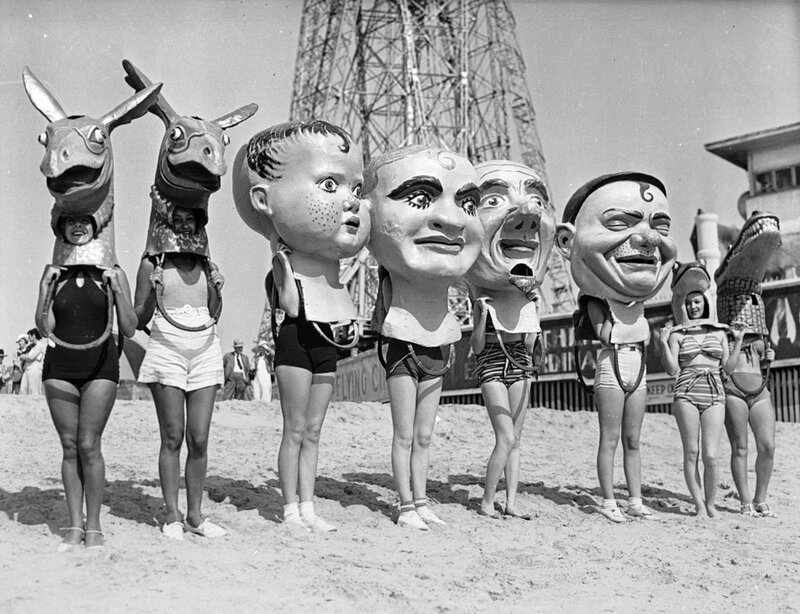 The image was clear, but small; the kids only shrugged. I walked into the greenbelt behind the house. The crows were calling in the branches. Turning back, the texture of home’s familiar shadows had changed. 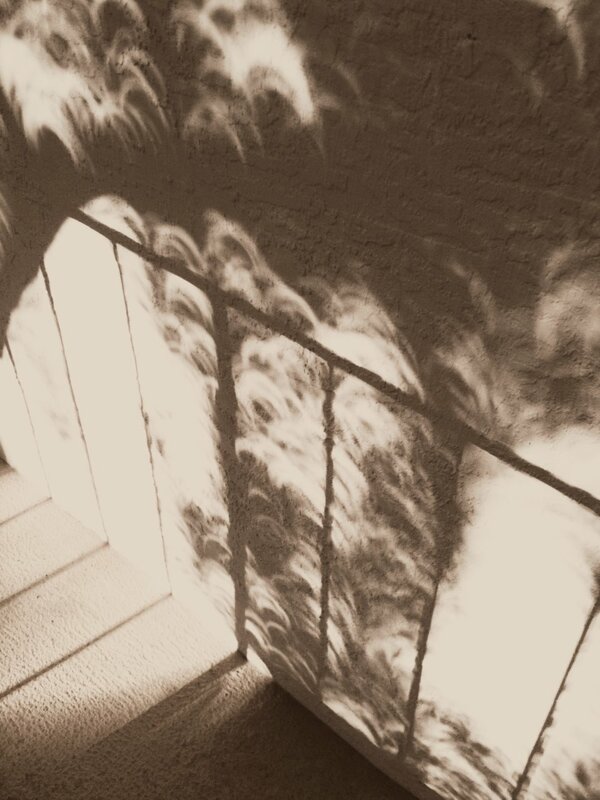 Filtered through the leaves, a thousand winking crescent suns danced on the wall. In recent years scientists have been shaken by the discovery that the universe is much lumpier than previously suspected. That this should leave us shaken is understandable. Among the first things we learn in the kitchen as children is that pancakes and cookies turn out better when the batter is lumpy. We always imagine ourselves the baker, never the treat. Internally, however, we are no more symmetrical than snails. They may have other faults, but snails do not deceive. Depending on its species, a snail’s shell will spiral either to right or left, like a hat worn at a tilt. We humans are less honest. We make an outward show of balance – two each of eyes, ears, nostrils, arms, legs, etc. – but declare allegiance with the gastropods by the arrangement of our innards: stomach, spleen, pancreas, liver and gallbladder. Most telling, the heart is off-center. There was a five-alarm fire a few miles from our home the other night. I was reading on the couch when the smell crept in through the open windows. After making sure our own house wasn’t burning I got into the car and drove a wide circuit through town. It was almost 11pm and no one was out. There were no sirens, no lights. I rolled down the windows and sniffed at the air. The whole city smelled like a campfire circle. I must have been seven or eight years old when our Filipino neighbors’ house burnt down. It happened in the middle of the night. I remember hearing voices and walking out of my room to find their whole family in our kitchen, wrapped in blankets, with my mother and father. Police officers and firefighters came in to speak with them. Standing on our lawn barefoot I watched the big house light up in orange and gold. Before it was torn down and rebuilt I used to run across the street and explore what was left of it, looking for bits of melted glass and shiny things in the awful, charred frame. It was funny to think that I was walking through someone else’s home, that this was a garage, a bedroom, a hallway. When the family moved in again they had the entire street over for a party and roasted a whole pig on a spit in the backyard.